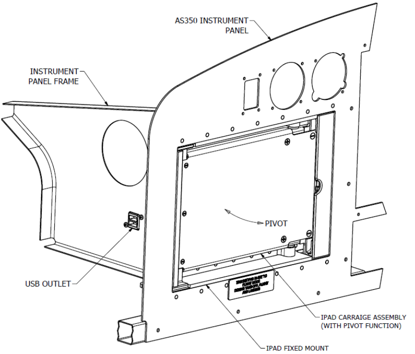 As promised, here are the latest project details of our Garmin approved cockpit modernisation program. 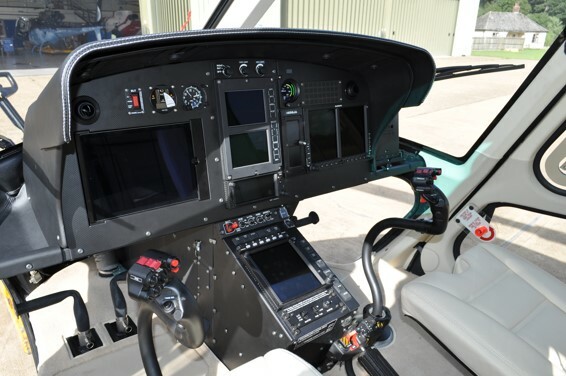 As before, the standard instrument panel was removed from the factory green AS350B3e and a new ADF designed instrument panel and centre console was fitted. The Garmin GTN 650 & GTN750 navigation and GPS displays are coupled to the autopilot, whilst the addition of the iPad and Mini iPad with custom designed mounts, enables the pilot and co-pilot to access a wealth of navigation enhancements. Both iPad and Mini iPad have audio integration. Our custom made centre console also features the Garmin G500H. GTX33HES Transponder – features include remote indent, auto standby, TIS interface and altitude monitor with voice alerts. GMA35 Audio – remote audio processor for use with GTN750, offers 2 entertainment audio outputs while passenger headsets are still tuned in to radio communications. GSR56H Satcom – providing global weather information and text/voice/data communication system. GDL88H UAT ADS-B data link – advanced traffic display amongst a wealth of other benefits. GTS800 TAS Traffic Advisory System – active and passive traffic surveillance. Flight Stream 210 – provides a wireless link to the iPad’s and enables traffic and weather to be viewed on the portable devices. FreeFlight RA4500 RadAlt – delivering precise AGL information. Mid-Continent MD302 Standby Attitude Module – displaying attitude, altitude, airspeed, slip, vertical trend and heading information. GENESYS Aerosystems Helisas 2 Axis Autopilot – improving stability and supplying automatic recovery to near-level flight. ADF custom designed rear seat folding armrests for 3 & 4 seat configuration. 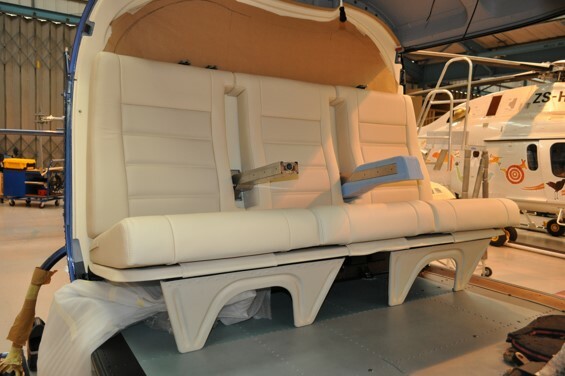 VIP aircraft interior supplied and fitted by our colleagues at Farnborough Aircraft Interiors. We are pleased to share our ground-breaking project, which has received the first approval of it's kind in Europe. 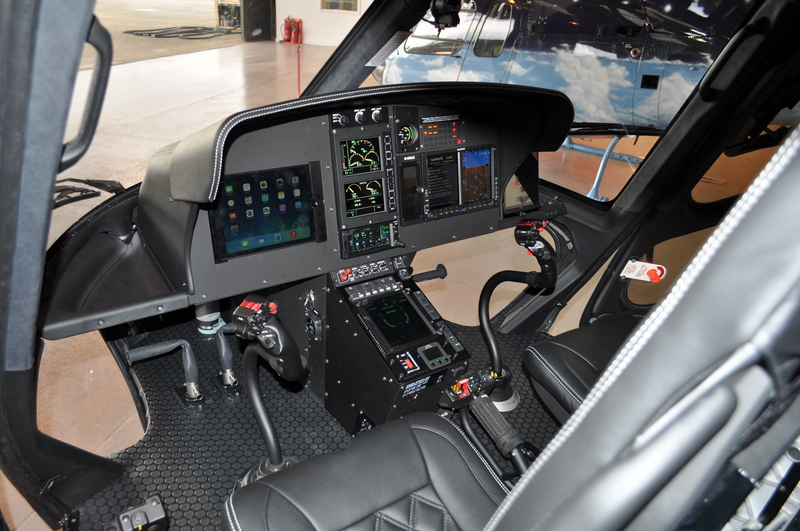 We have created a new, streamlined, touchscreen cockpit display with the addition of iPad technology. 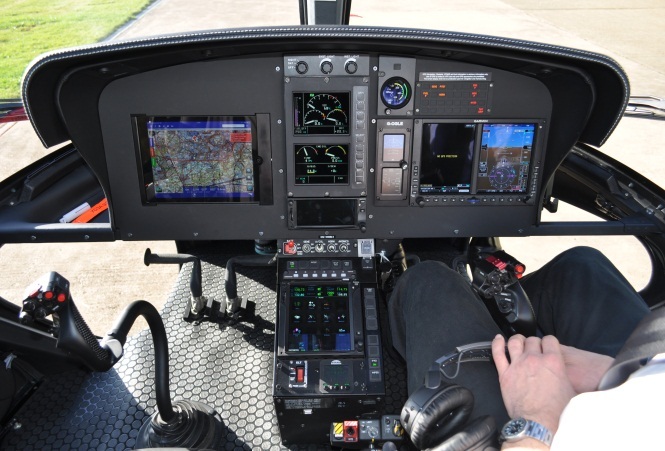 The Garmin GTN 650 & GTN750 displays is coupled to the autopilot, whilst the addition of the iPad enables the pilot to access a wealth of navigation enhancements. 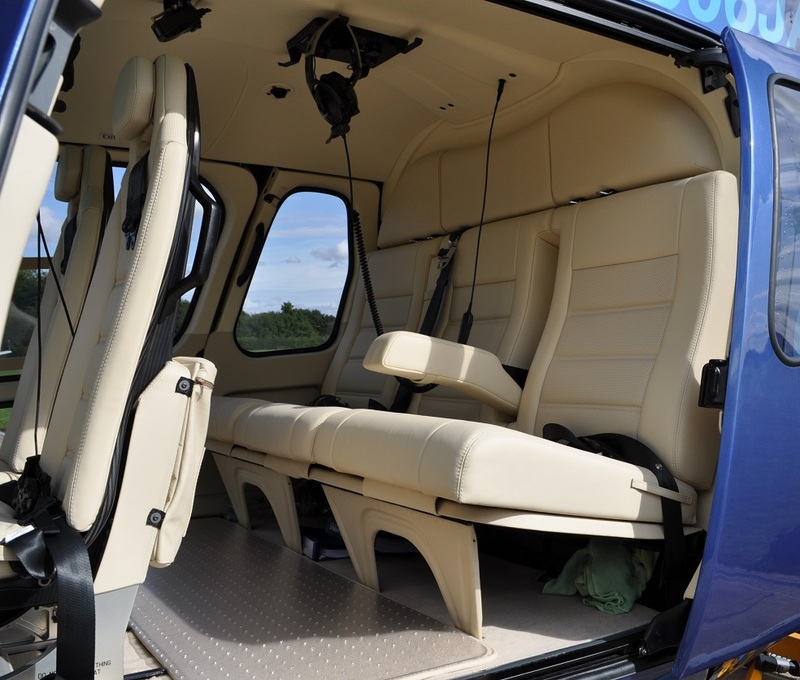 This project started life from as a new "factory green" AS350B3e aircraft, G-NIPL. 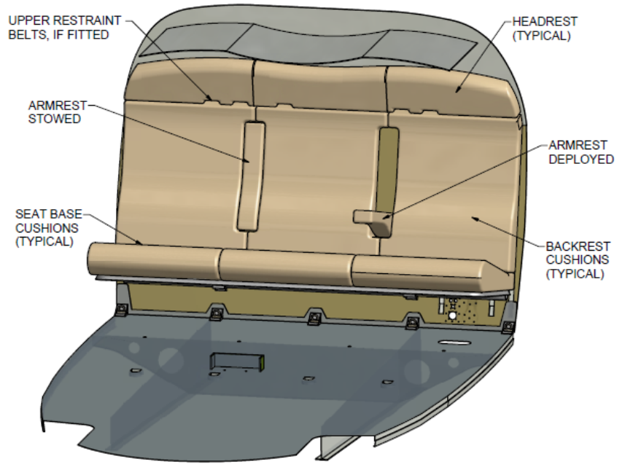 The standard cockpit was removed, and updated equipment was designed and installed to simplify the area and improve usability. These works also included an overall completion of VIP interior and aircraft exterior repaint. Making the finished article completely bespoke and one of a kind. Once complete, G-NIPL was placed on static display at Helitech 2013 next to our stand. News spread quickly throughout the show, and we were approached to develop this design further for another AS350B3, G-OOIO. This new project needed some further evolution from the previous installation and so we began work on the design, integration, installation and STC approval of the Garmin GTN650 & GTN750 touch screen display. Due to the success of the previous two projects, we were then asked to complete a further AS350B3e, G-OGLE. 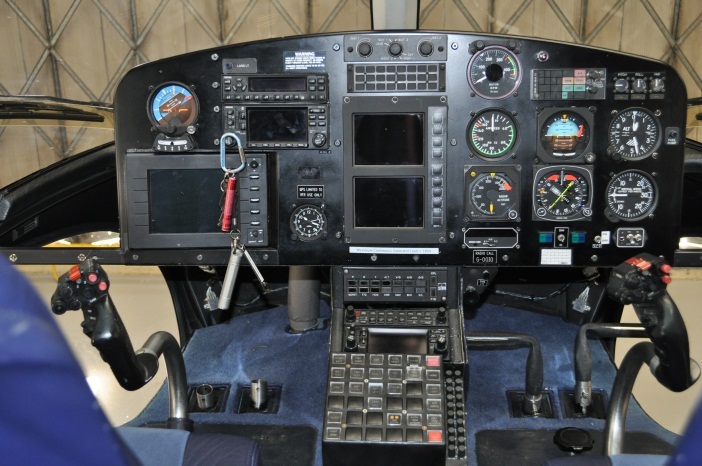 This project has included a Garmin GTN650 & GTN750 displays, iPad installation on swivel plates for ease of use and an additional iPad Mini for pilot view only. The centre console was replaced with newly designed equipment which extends the height of the console. 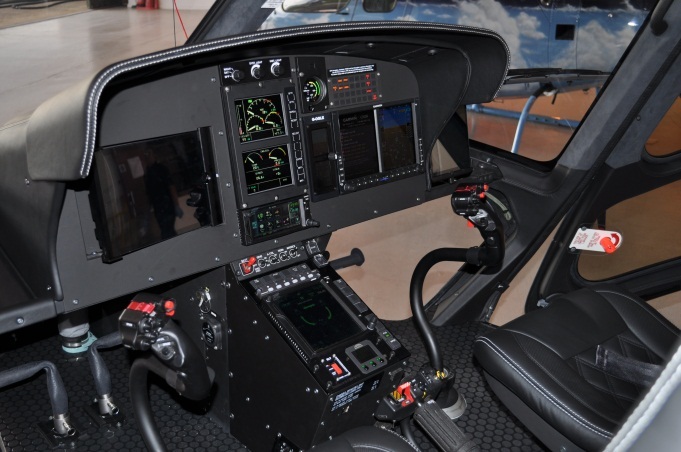 This was the latest works in our Garmin approved cockpit modernisation program, which has now been recognised with full appreciation not only from our client, but also from the industry - but our continuing drive for bigger and better has shown through. We are currently working on two new and major projects that we're looking forward to sharing with you very soon!